One of the more interesting designs along Park Avenue, this Art Deco-style apartment building was erected in 1925 and converted to a cooperative in 1951. It has a three-story sandstone base with a decorative balcony at the third floor and a very fine, decorative bandcourse, a nice sandstone top with arched windows on the top floor and an octagonally shaped rooftop watertank enclosure. 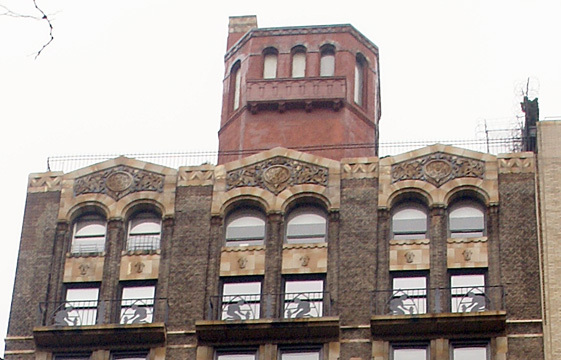 Its most fascinating feature, however, are some wrought-iron balconies on the next to top floor that depict men planting, or picking, flowers. The building has consistent new fenestration, protruding air-conditioners and an entrance on the sidestreet. 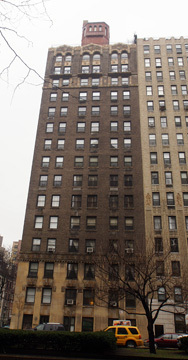 The 15-story building has only 27 apartments, two of which are duplex penthouse units. It was designed by George and Edward Blum, whose other Park Avenue buildings include 555, 791, 830, 840, 875 and 1075. The building, which has no garage, is not far from the Metropolitan Museum of Art and many boutiques and art galleries along Madison. Cross-town buses run on 79th Street and one of the citys best schools, PS 6, is on the same block at Madison Avenue.